Madison, WI — On Friday and Saturday, Immigration and Customs Enforcement (ICE) agents arrested dozens of people in their homes and workplaces across Wisconsin, terrorizing immigrant communities from Wausau to Milwaukee. As of Saturday afternoon, organizers have confirmed that ICE arrested at least 9 people in the Madison area, and at least one person each in Wausau, Green Bay, and Milwaukee, with those numbers likely to rise. According to community members, heavily armed ICE agents falsely identified themselves as police in some instances. “Agents surrounded the house while the family was getting ready for the day,” said Giselle Vera, whose uncle Erick Gamboa Chay was detained by ICE on Friday in Milwaukee. Gamboa Chay and his wife have three children, ages 8, 4, and 1. “They banged on his door claiming to be police, but actually they were ICE. Now my uncle’s kids keep asking when their dad is going to come back. His youngest son has sickle cell anemia and requires constant care. His wife cannot work outside the home because she cares for him and the other two children. 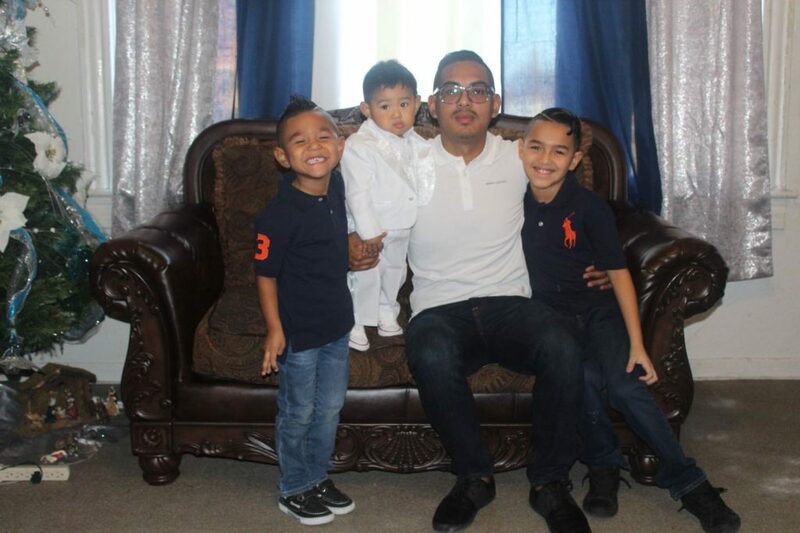 This is devastating to his kids and to our family.” Gamboa Chay appears to have come to ICE’s attention after being stopped for driving without a license. ICE is denying him bond. “On Friday morning, my husband was driving to work with our son and four coworkers,” said Angela Betancourt, whose husband of 29 years Jesús Enciso was detained by ICE near Madison. “My son was driving because he has a license. Agents in two cars pulled them over, made everyone get out and asked for all their documents. They took away the five men including my husband. I don’t know why ICE would detain him. He is a hard worker, he provides for our family. We have not been able to communicate with him. We are very sad and we need him here with us.” Angela and Jesús have three children. “We call on ICE to return the people they have arrested to their families,” said Christine Neumann-Ortiz, Executive Director of Voces de la Frontera. “These raids, along with the ICE raids in Racine last month, are part of the Trump Administration’s escalation of their white nationalist-inspired campaign of state terror against immigrant families. Whatever protections there used to be, ICE is ignoring them. ICE is separating breadwinners from their families, they’re taking away caregivers from sick children and parents. ICE and their political enablers are not recognizing the humanity of these families – but we do, and we’re going to fight this. We will put our bodies on the line to make sure ICE does not have free reign to terrorize our communities.